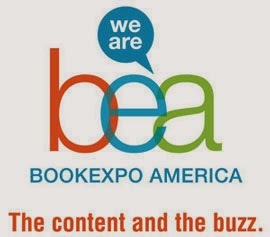 Book Expo America: I finally get to see what all the hype is about! So I've decided to go to BEA this year. Yup! I get to experience what a lot of bloggers gush about every spring. I'm heading to New York from Montreal and I'd like to go to the Blogger's Conference. Is anyone else going to this? I'm also looking for a roomie at the hotel. Anyone interested? Shoot me an email at laurafabiani (at) videotron (dot) ca. I'm looking forward to meeting my virtual book bloggie friends!